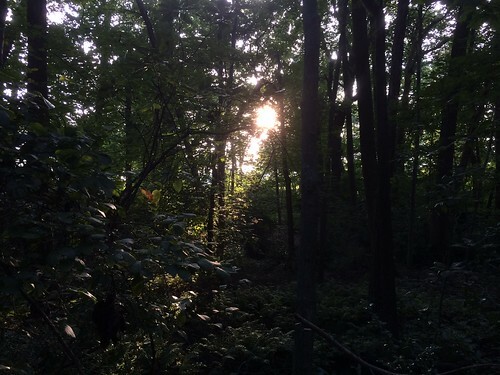 Saw this glint of late afternoon summer sun while walking the forest trail near our house. The wild overgrown look is deceptive, though; there are suburban houses right behind those trees. For comparison, about the same afternoon sun last winter.